Welcome to Acoustic Guitar Innovation. We design and manufacture acoustic guitars unlike any other. Our ethos is based on sustainability, low impact manufacture, ceaseless innovation and affordability. We produce our guitars in a small workshop in the picturesque village of Holt in Wiltshire. They are built by hand using reclaimed and sustainable materials. 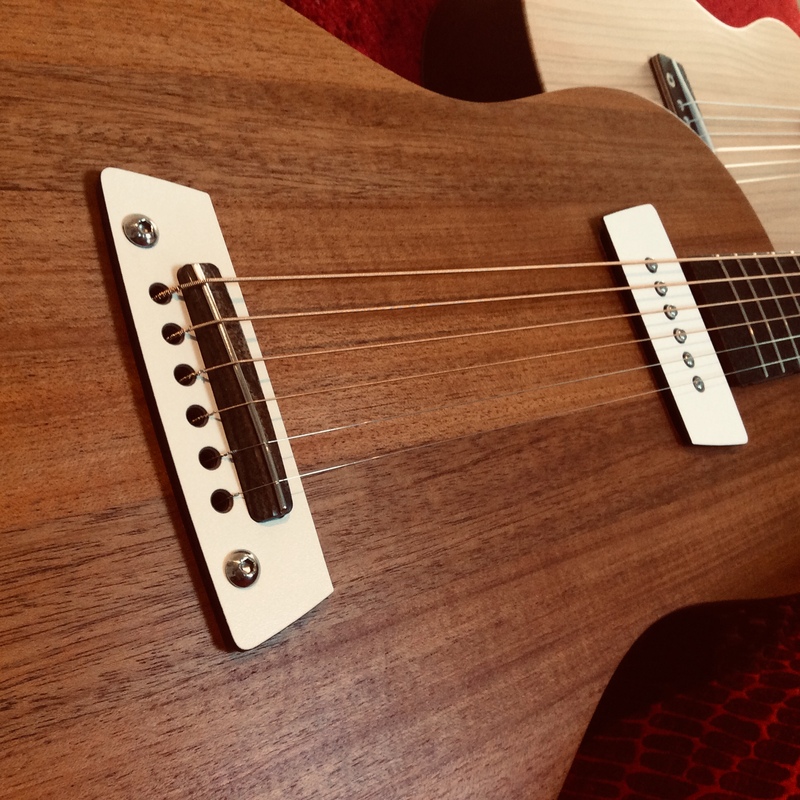 Our guitars employ a unique bracing mechanism that allows the soundboard to vibrate freely and create a sound that belies the guitars small stature. The design is based on a unique modular system, combining different body styles with interchangable necks. For further information, or if you would like to order a guitar, please e mail Felix using the link below. Please follow us on Instagram using the link below for all the latest developments.